As I was growing up in Cleveland, I was deeply influenced by what I call space art. And by space, I mean outer space. For instance, the backgrounds in Forbidden Planet (1956) were a major influence on me. I was also influenced by the work of Father of Modern Space Art, Chesley Bonestell (1888-1986), who was born before the flight and Kitty Hawk and lived to see American astronauts walk on the surface of the moon. The paintings shown here are all by Bonestell. In some cases, such as in the above painting, the image is contradicted by actual space photography, in this case from the Mars Rovers. 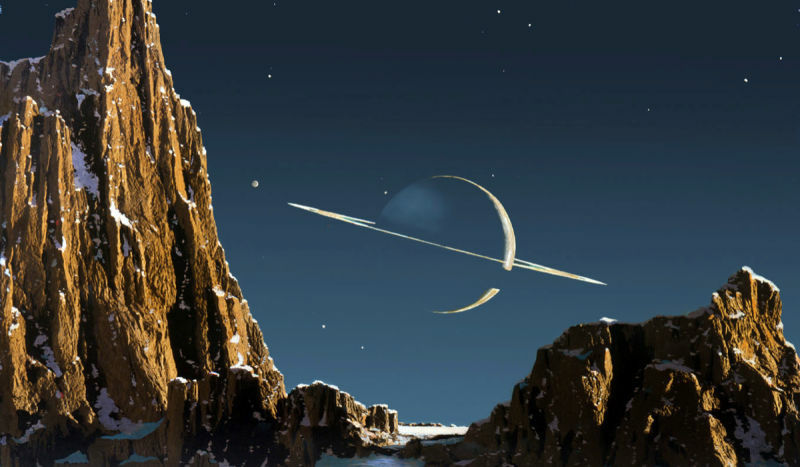 Still, Bonestell’s painting is so gorgeous that maybe there is someplace else in the universe that looks like this. 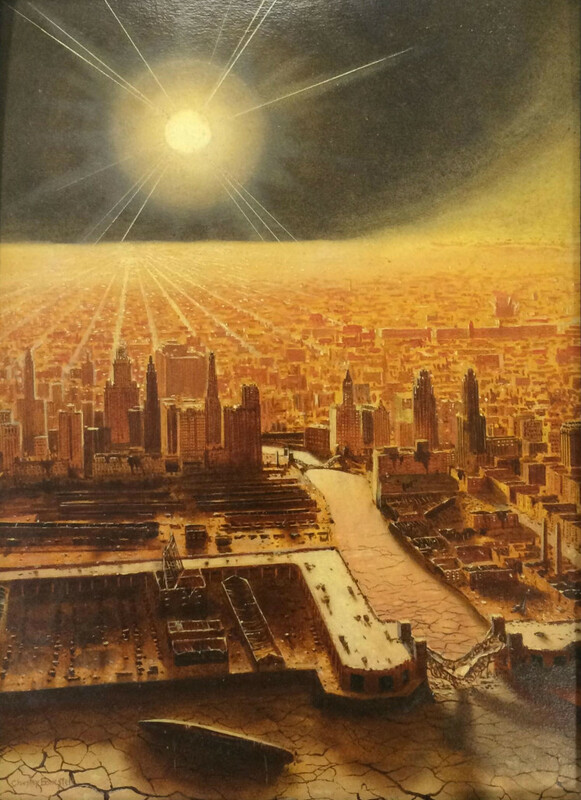 Perhaps the work of Bonestell doesn’t do much for many art critics, but it showed me that there were more things on heaven and earth than were dreamt of in my philosophy. And in most cases, they were starkly beautiful.